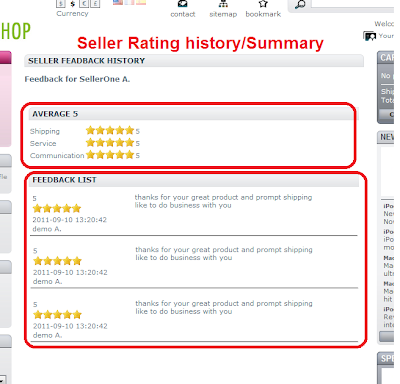 We are proudly announce that Seller rating/review/comment module is not available. 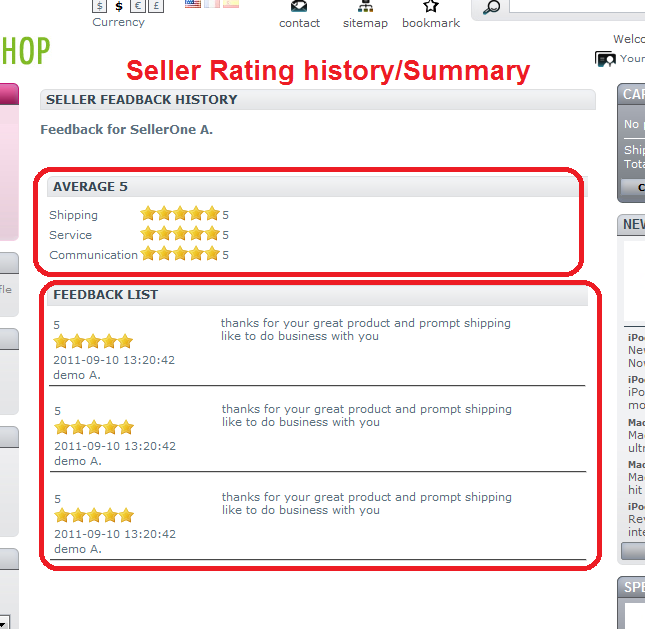 It is a seller rating /comment module, is an accessory module of Agile Multiple Seller module. 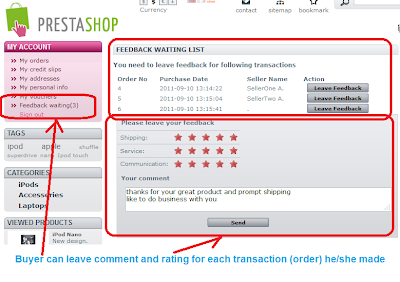 Buyer can feedback about seller by leaving comment and rating for the seller he/she buys product from. This module only works together with Agile Multiple Seller module. 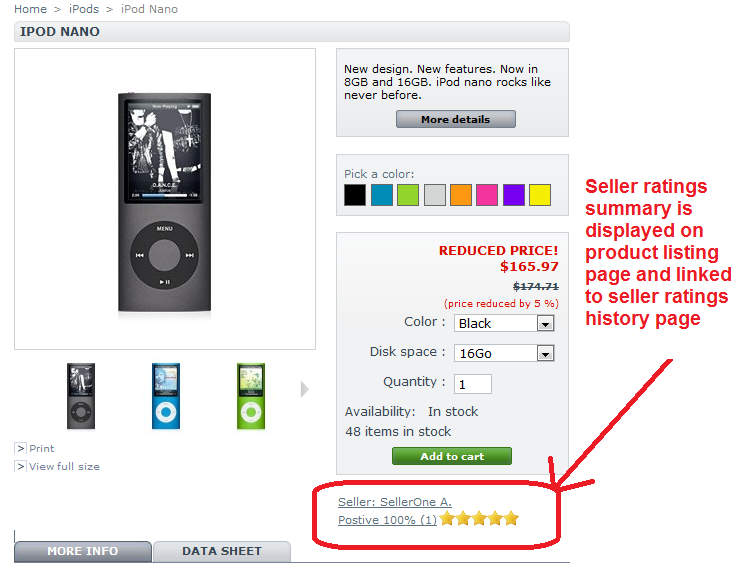 only buyers can put rating/comment for sellers. 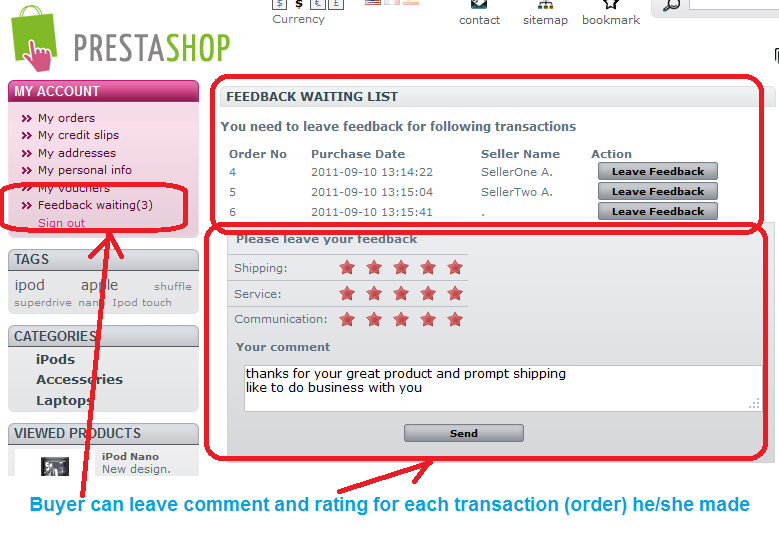 There will a feedback waiting list for each buyer that list all orders/transactions for him/her to leave feedback.